Selling Restaurants asks are you looking to own one of the premiere Chinese food restaurants in San Diego? Look no further. 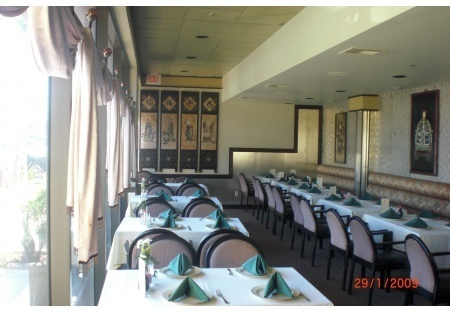 This restaurant is located in the heart of affluent Del Mar in a bustling retail center. This upscale Chinese food restaurant caters to all. From hungry local college students to the power brokers of local industry, this is a San Diego favorite for a real Chinese food experience. The original owner for the last 19 years is ready to retire and hand the reins over to the next generation. Current owner will stay on for an extended training period to ensure a smooth transition of his life�s work to the new owners. He will even consider financing for the right buyers. Restaurant has a full liquor license allowing the popular �let�s meet at_________�s bar to be a favorite saying for locals and tourists alike. The atmosphere is enchanting and this is the place to see and be seen for the week end dinner crowds. Current lease expires in November of 2011 with a five year option available, the beauty here is that the landlord will be willing to renegotiate terms in exchange for a long term lease commitment from a qualified buyer. Currently sales are averaging 60k month but in the very recent past sales had been nearly 100k per month. If you are looking to get a bargain on a popular restaurant with a loyal client base, great location and nearly 20 years of goodwill, this is your place and now is the time. This location with a newly negotiated lease would be ideal for Sushi bar, Sports bar or bring your concept and be for the landslide of business. Please select the orange button below to get the name and location of this great restaurant.